In most cases, when claiming deductions, you will be expected to be able to justify the expense being claimed with documentary evidence and be ready produce the evidence at any given time if the ATO requests it. 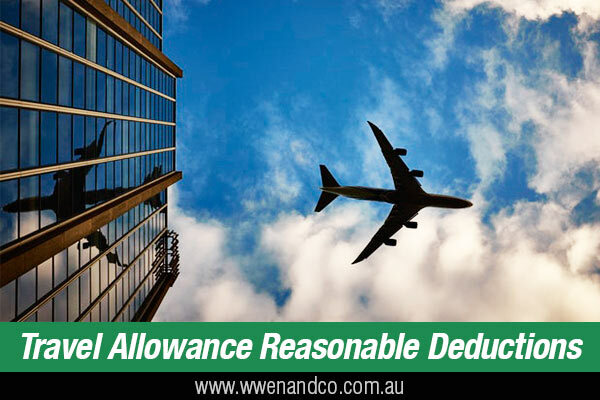 However, an exception to substantiate claims applies to travel allowance expenses if the ATO considers the total claimed to be “reasonable” and to be no more than the allowance provided. Recently the ATO has been very keen to emphasise that the first of these travel allowance concessions does not remove the requirement for the employee to actually incur an expense. The taxpayer may not be required to substantiate it in a written form like other deductible work expenses, but the expense must still have actually been incurred to be able to claim a deduction. Also, remember that if you rely on the exception from substantiation, the ATO may still require you to show the basis for determining the amount claimed, that the expense was actually incurred and that it was for specific travel costs and for work-related purposes. ATO emphasised that this tax year it is targeting work-related expense claims such as travel costs — a point specifically referred to by Tax Commissioner, Chris Jordan, in an address made to the Press Club in Canberra in early July 2017. The ATO recently announced that it has noticed an increasing disparity between travel allowances paid and deductions claimed for accommodation, meals, and incidentals. The ATO claims that this has increased the incidence of it checking these claims, which has highlighted deficiencies and difficulties for employees in showing the amount claimed was incurred or was incurred in gaining or producing their assessable income. In recent times, and to reduce the cost of compliance in keeping detailed records, it was decided that certain exclusions from substantiation should be included in the rules — although the ATO has made it clear that if the disparity between allowances paid and deductions claimed continues, the current substantiation exception leeway in regard to travel expenses may be reviewed. Tax specialists have indicated that this is a strong signal that the ATO seems to be moving away from the exception to substantiation precedent, especially in light of a huge increase in court cases dealing with this area of tax law over the past 12 to 18 months. In fact, in the modern digital transaction world, the case can be made that such exceptions to substantiation are increasingly unnecessary; a point already made by the ATO. This, in turn, underlines the necessity to get such claims right in the first place. How can a travel allowance be considered to be reasonable? Where the travel allowance received by the taxpayer exceeds the amount considered reasonable, the whole deduction will generally be subject to the substantiation rules, which require detailed records of the expenses to be obtained and kept.